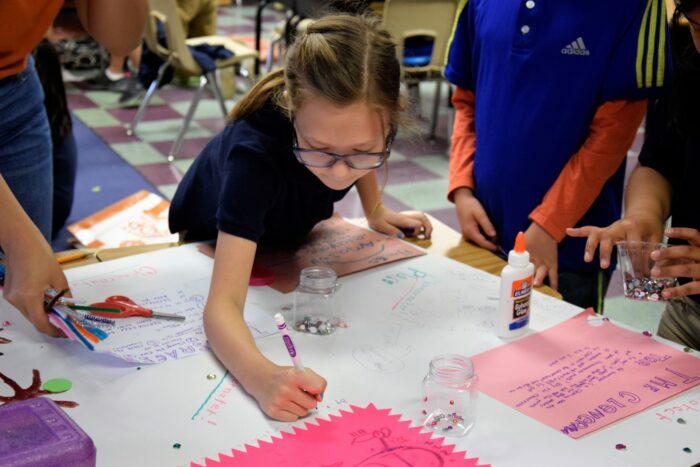 Throughout the first week of March, second-graders at UT Elementary School have been busy designing product prototypes, strategizing marketing plans and crafting pitches in the hopes of winning over judges at the Market Fair on Friday, March 6. 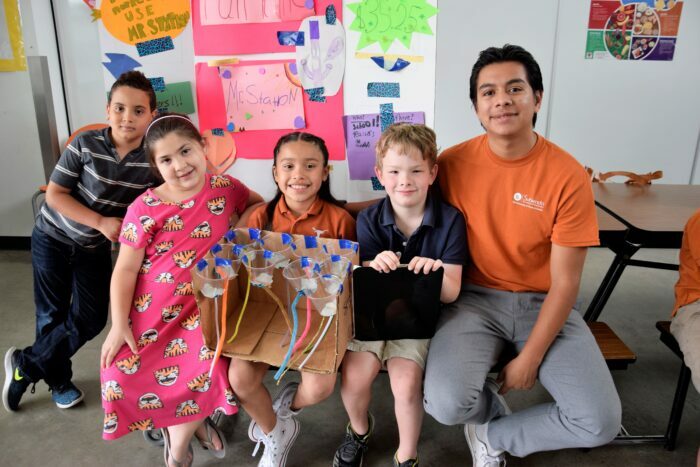 Just minutes before presenting their products to the judges, the students practiced their elevator pitches and put final touches on their colorful innovations—from dog-walking robots to handy book kits (with snack pockets) to ocean cleaning machines. The wide-ranging ideas and concepts all boiled down to one underlying mission: to change the world for the better. 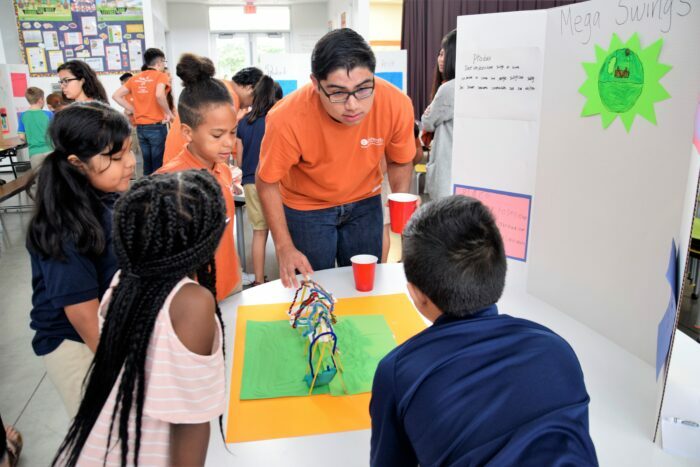 The event was made possible by the Subiendo Academy, a summer leadership program within the McCombs School of Business that prepares underrepresented high school students for the college pipeline. 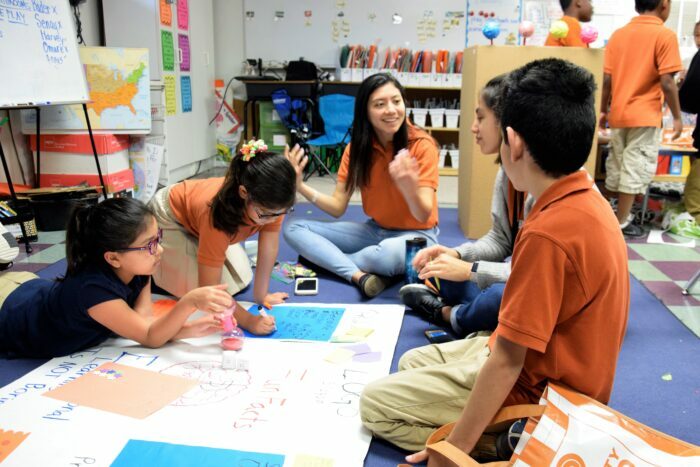 With support from Google, Subiendo provided the week-long Young Entrepreneurship Program at UT Elementary—an initiative that aims to empower the next generation of diverse leaders in the business world and beyond.